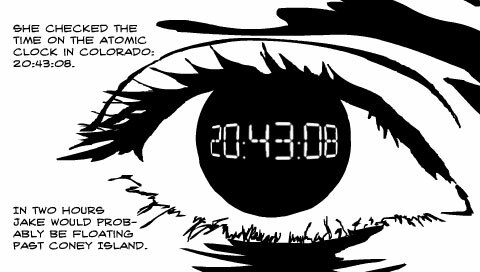 This week we’re taking a look at the online graphic novel, nyc2123: Dayender. Intrigue, espionage, and a post-catastrophic tsunami that maroons Manhattan, turning it into a John Carpenter-esque meets Rockstar Games Vice City American Mogadishu. Written and illustrated by brothers (?) Chad and Paco Allen, the series was released almost half a decade ago and presented as a PSP graphic novel (also available on browsers). It’s cyberpunk with elements of SnowCrash/Ghost in the Shell and Necromancer. The writing is quick, smart and the art has elements of the Scanner Darkly/Linklater interpolated rotoscope. Yes, we are brothers! Thanks for the mention and quick review. Great to see people are still reading this after all these years. Can’t believe we’re coming up on 10 years since we started this project. Making me feel old.